Following regular use, attempting to quit or decrease use of GHB can result in a number of withdrawal symptoms. When taken in excessive amounts, symptoms of GHB overdose can range from unconsciousness and slowed heart rate to seizures, coma, and death.2 Combined use with other drugs including alcohol can result in breathing difficulties.1 Because it comes in liquid form, it can be difficult to have an accurate measure of the amount of drug being ingested—leading to a higher likelihood of overdose. GHB overdose can be dangerous and frequently requires medical treatment. Following regular use, attempting to quit or decrease use of GHB can result in a number of withdrawal symptoms.1 Because of the large risk of overdose and the existence of a GHB withdrawal syndrome, both people who are compulsively using GHB and those who are attempting to quit would benefit from some form of professional rehabilitation and medically supervised detox to keep them safe during withdrawal and decrease the ever-present risk of overdose that accompanies unchecked, continued abuse. Individuals abusing this drug are advised to seek treatment for addiction as continued abuse of GHB can be fatal. Though somewhat rare, severe cases of withdrawal from GHB can be life-threatening if not appropriately managed.5 For this reason, detoxing under supervision is imperative, especially if you’ve used it regularly or in high doses. As part of a supervised medical detox program, medical professionals monitor withdrawal progress to ensure that significantly troublesome symptoms and any complications be managed appropriately. 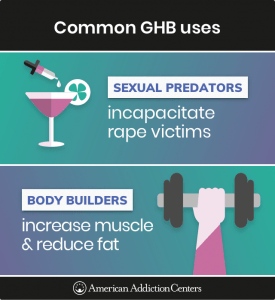 GHB is a dangerous substance, and its chronic use can negatively impact your health and wellbeing. When it comes to compulsive use, simply quitting can be difficult and, due to the presence of potentially-dangerous acute withdrawal symptoms, may not be advisable. 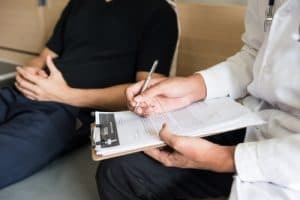 In order to figure out if you need a medical detox program to keep you safe and comfortable during the withdrawal portion of early recovery, you should ideally be evaluated by a medical doctor or other substance abuse treatment professional. By evaluating the details of your substance abuse history, they can better gauge factors such as addiction severity, magnitude of physical dependence, and the likelihood of a severe and/or complicated withdrawal to guide their recommendations for the appropriate level of treatment. They will be able to ascertain if your path to recovery needs to involve a period of medical detox that will put you in a situation where your withdrawal progress is monitored—and your safety ensured. Formal detox removes the element of needless suffering from, and minimizes the potential risks of, GHB withdrawal. Change maladaptive thinking and self-destructive behavioral patterns. Identify triggers for their substance abuse. Find ways to avoid relapse. Find and participate in healthy activities that promote sobriety. Build a supportive network to help maintain abstinence. Inpatient settings vary, with some locations being hospital-based and others more residential—an example of programs at one extreme being spa-like, luxury rehabs. Program specifics will vary, but the more expensive programs do tend to be more luxurious. However, regardless of whether a program offers private rooms and a variety of amenities or a more standard environment, all programs will have trained staff who work closely with the patients to help them through the process of achieving and maintaining sobriety from drugs such as GHB. Some people seek recovery help from outpatient substance abuse programs. Outpatient programs range from a few hours a week to several hours per day, up to seven days per week. Depending on the level of intensiveness, some outpatient treatment programs may utilize a similar range of therapeutic approaches to their inpatient treatment counterparts, including group and individual counseling as well as access to medical and mental health services, when needed. 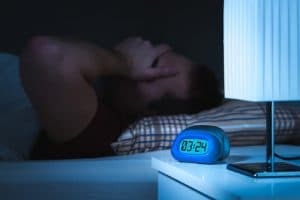 However, a person in outpatient treatment will continue to have the ability to return home at night and possibly also continue in their job or in school while going through treatment. The course of either inpatient or outpatient substance recovery will vary greatly, depending on the needs of the individual, including how severe their addiction to GHB is, if they are using other drugs, and if they have other mental health issues in addition to substance abuse. National Institute on Drug Abuse. (2014). DrugFacts: Club Drugs (GHB, Ketamine, and Rohypnol). U.S. Department of Justice Drug Enforcement Administration. (2017). Drugs of Abuse: A DEA Resource Guide. National Institute on Drug Abuse. (n.d.). NIDA Community Drug Alert Bulletin-Club Drugs: Gamma-hydroxybutyrate (GHB). Kapoor P, Deshmukh R, Kukreja I. (2013). GHB acid: A rage or reprieve. Journal of Advanced Pharmaceutical Technology & Research. 4(4):173-178. Substance Abuse and Mental Health Services Administration. (2017). Keeping Youth Drug Free. American Psychiatric Association. (2013). Diagnostic and statistical manual of mental disorders (5th ed. ).Arlington, VA: American Psychiatric Publishing. National Institute on Drug Abuse. (2019). Treatment Approaches for Drug Addiction.